History and description : This site at village Banwali is on the dry bed of ancient river Sarasvati. The excavations have yielded three-fold culture sequence: Pre-Harappan (Early-Harappan), Harappan and Bara (post Harappan). This site was excavated by Dr. R.S.Bhist of Archaeological Survey of India. Pre-Harappan assemblage (2600-2400 BC) is repreesented by the existence of well-planned houses and a fortification wall made of moulded bricks. In the pottery of this period, pre-Harappan painted motifs tended to become simpler sparse and use of white pigment becomes less popular progressively. The finer variety of the pottery comparable with Harappan ceramic included dish-on-stand, basin, trough, jars and bowls. The other finds included beads of semi-precious stones, terracotta, steatite and bangles of clay, shell, faience and copper. 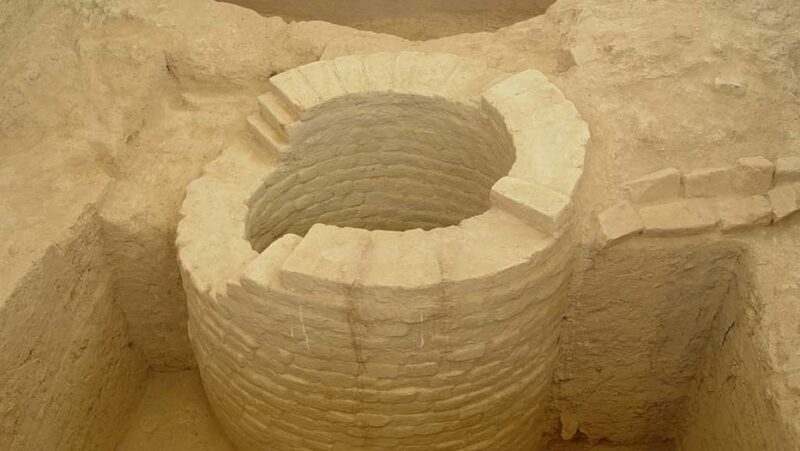 Harappan Culture (2400-1900 BC) is marked by the presence of a well-planned fortified township laid in a radial pattern. The sophisticated red ware decorated with animal and floral designs comprises dish-on-stand, ‘S’-shaped jar, perforated jar, vase, cooking handis, beaker, basin and goblet etc. A terracotta plough model is important as it is a complete specimen found so far in Harappan Culture. Other remarkable finds are beads and bangles of semi-precious stones, terracotta and shell, chert blades, weights and sportsmen of ivory and bone, beads and foil in gold, terracotta animal figurines, inscribed steatite seals and terracotta seals, copper fish-hooks, charred barley grains etc. Bara Culture (1900-1700 BC) is represented by the most distinguished pottery, which is sturdy and heavy, made of fine clay, baked carefully and dressed with deep toned oily gloss. The smaller finds are very few and excluded all classical Harappan items except terracotta nodules and cakes. Banawali is 217 km away from Indira Gandhi International Airport. Banawali is 25 km away from Railway Station Bhattu Kalan.